Producer CosmiWave takes music creation to refreshingly alternative levels with this release. For those new to his work, Space Of Madness is a brilliantly unique and colourful dance track – it takes its time to build and offers a less notable drop, but it’s one that comfortably immerses you as it hits. From the opening moments there’s something slightly new and unusual about the track, the soundscape is rhythmically appealing in a familiar fashion, but the details that have crafted it all seem slightly left of centre. It’s not that these are particularly retro synths, it’s something else – they feel partly organic in some ways, and as the track gathers momentum you notice this all the more so. A slightly tribal vibe emerges – the beat, the bounce of the whole thing, the horn-like nature of that leading melody; you get an immensely enjoyable, festival-style vibe from it all. Where it’s often possible to listen to a variety of electronic music these days and pick out certain recognisable layers, in this case – CosmiWave offers up an arena of genuinely unorthodox yet perfectly satisfying elements. The music theory aspects help drive it through of course – a more complex melody line and chord progression than the average EDM offering. A clear awareness of what works in composition is highlighted right the way through. You appreciate this musical ability as much as, if not more so than, a producer who can effectively create something with a rising sense of intensity. You can lose yourself in this track, not a moment is wasted – you don’t spend the intro looking forward to the drop, you spend it enjoying that quieter and still colourful and expressive moment of music in itself. Then when all is said and done, the melody lingers in your mind – as does the good feeling presented by it. A brilliant piece of music and one for the long-term playlist for sure. Stream the music on Spotify. 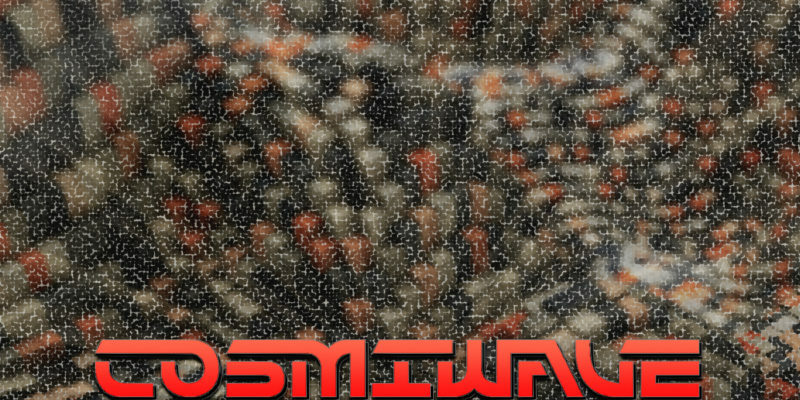 Find & follow CosmiWave on Facebook & Instagram or visit his Website.